Hidden Gem in the historic district of Hyde Park!! 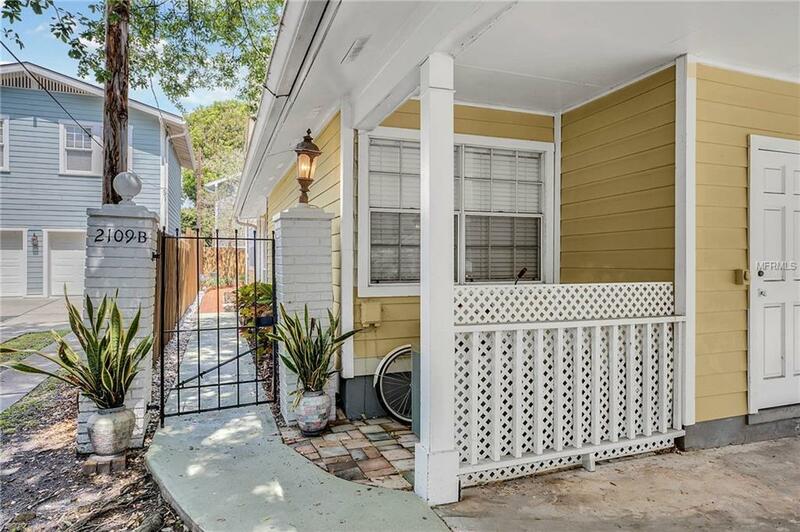 This Gorgeous and move-in ready 2 Bed/2.5 Bath residence is 1 of 3 Tnhomes, w/LOW HOA fees, NO Flood Ins & zoned for Mitchell, Wilson and Plant Public Schools. Just blocks from iconic Bayshore Blvd, quaint & growing Hyde Park Village, and the lively area of SoHo. Enter the foyer and attention to detail is obvious. Featuring beautiful dark wood like laminate flooring through-out, re-textured & painted walls/ceilings, canned lighting, crown molding & floor boards, shutters and more. An open floor plan is perfect for entertaining in the living and dining areas and highlights the Wood Burning fireplace and two sets of french doors bringing in light and views of the gorgeous deck outside. Updated Kitchen reveals cabinets-freshly painted modern-white, stainless appliances, spacious breakfast bar, deep tray ceiling, and utility pantry w/full sized w/d. 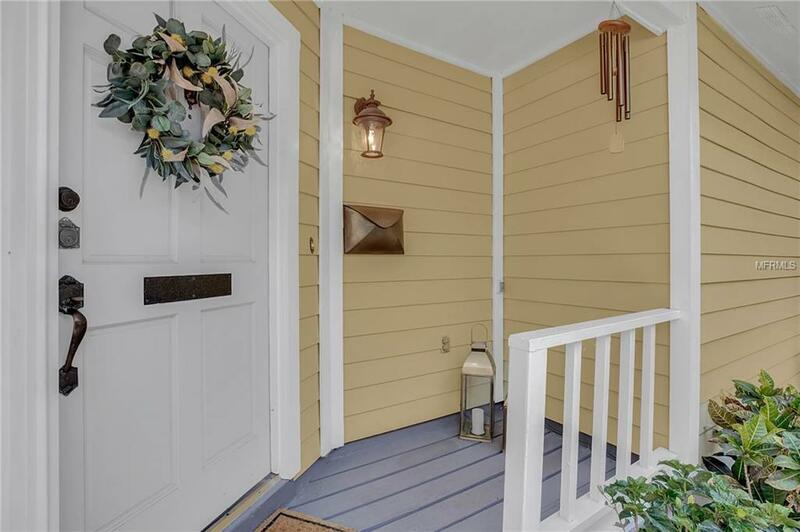 Upstairs, the serene Master Bedroom w/vaulted ceilings,generous sized walk-in closet and balcony w/views of deck and backyard is sure to impress. Stunning Master Bath is on point w/new tile, shower, and vanity w/soft close drawers & granite counter. 2nd Bedroom perfect for guests or as an office and the Guest Bath has new tile, sink & cabinet, shower/tub combo. 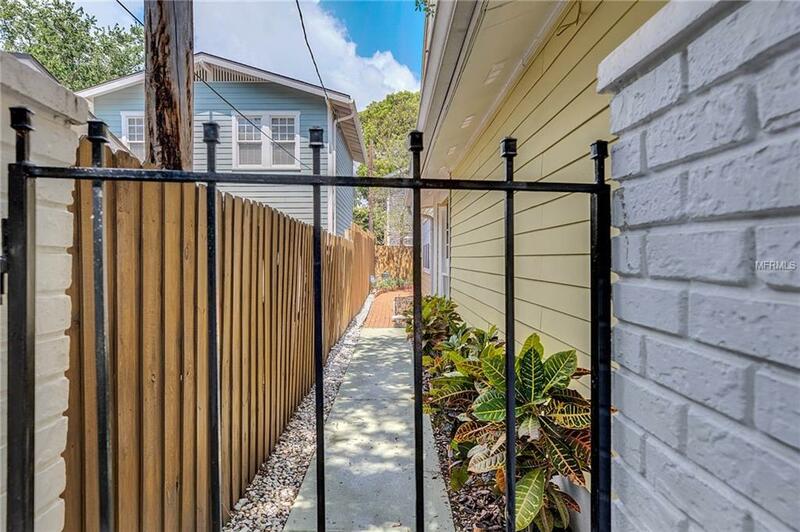 Enjoy the coveted Florida Lifestyle on the 20x23 private deck & fenced back yard Perfect for game day, dining al fresco or taking in the sun. 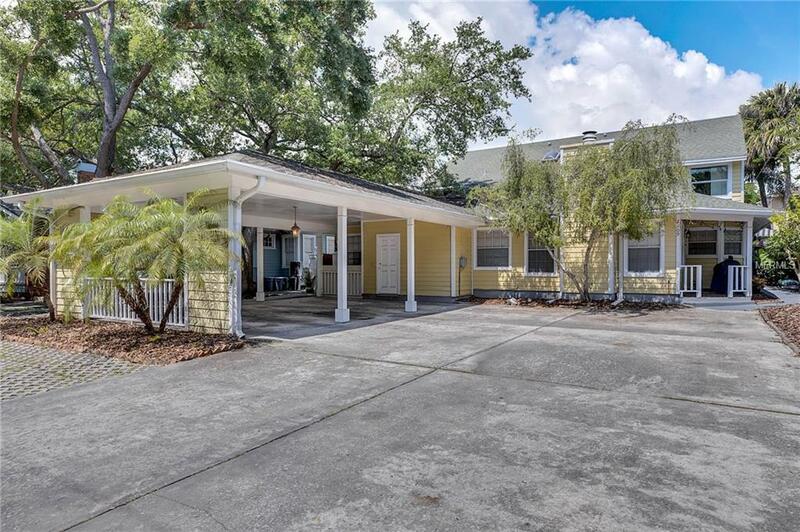 Conveniently located near I-275, Selmon Expressway, w/easy access to Downtown, Tampa General,MacDill AFB & beaches.